Medieval silver half penny of Edward IV., second reign 1471-83. Obverse description: Front facing crowned bust. Beaded inner circle.Diagonal cross above head. Medieval silver penny of Edward IV, second reign? 1471-83. Medieval silver penny of Edward IV, second reign, York mint, 1471-83. 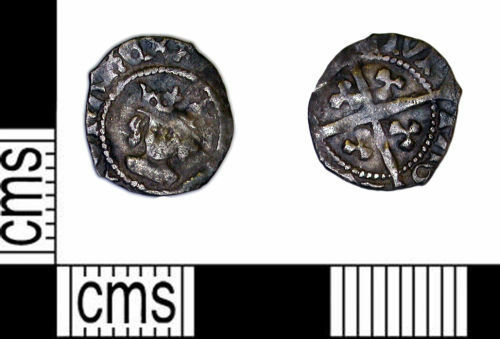 A late medieval clipped silver penny of probably Edward IV second reign (1471-83), mint of London, dating to 1471-83.